Hello, hello! Its Brittni from papernstitch. And I am back with another original tutorial for you all this week. 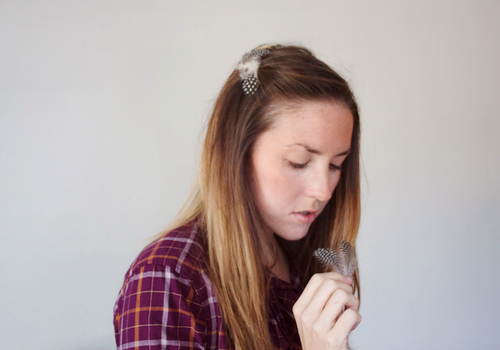 Instead of the usual diy roundups, this week I'll be sharing a brand new, original tutorial I came up with for a feathered barette that has made its way into heavy rotation lately, when it comes to hair accessories. Here's how you make it: 1. Apply a very thin bead of glue down the length of the top of the metal barrette clip. If you accidentally apply too much glue, use a q-tip to remove the excess. 2. Choose your sturdiest, thickest feather. And use that for your base feather. 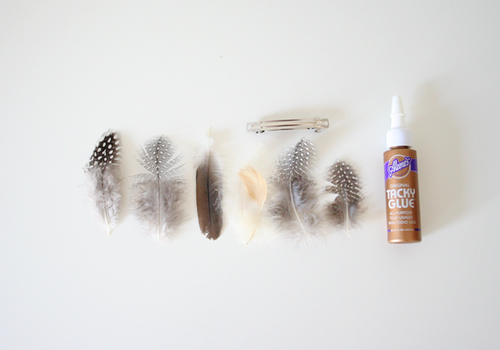 Apply the feather to the top of the barrette and use the pressure of your fingers to press the feather down until the glue holds on its own. 3. 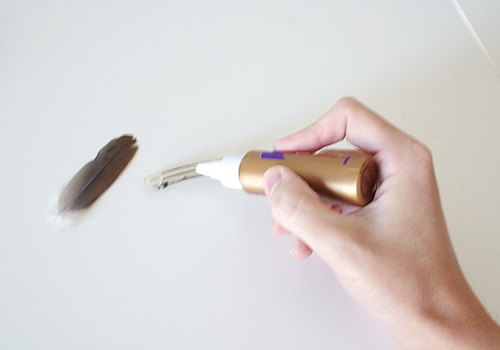 Wait for it to dry and then apply your second feather, working out from the center. 4. Repeat step four with additional feather until you've achieved your desired look. 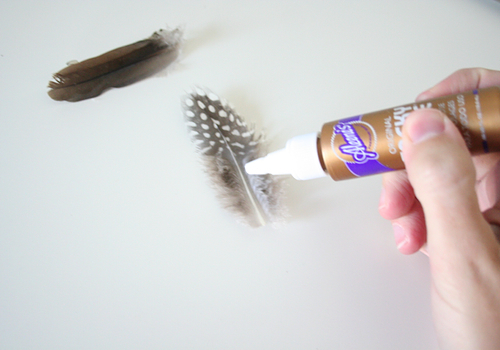 Pro tip: If any area looks a little sloppy once finished, apply one small feather with glue on top of the messy area to cover it up. About Brittni: She is the founder of the handmade exhibition site, papernstitch, and is also the editor of a handmade blog, by the same name. When not working on papernstitch, she is dreaming up fun little tutorials and crafting projects for her home. If you love DIY as much as Brittni does, download a free copy of the Happy Holidays Guide to DIY eBook, packed with eight step by step tutorials for the season. That look so simple that I may even be able to do it! Lovely idea... feathers are so on trend right now..
Sooo pretty!!! Thanks for this!! Great Idea and super easy! My roommate used to make these, they make your hair look effortlessly fun! 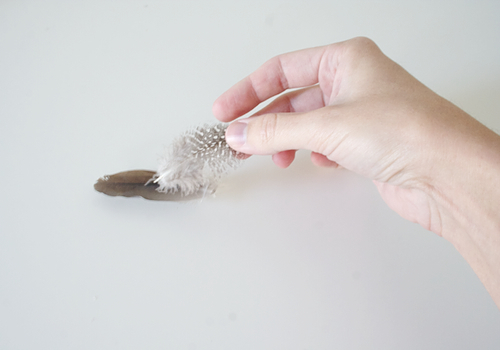 i love feathers so much, this is a beautiful tutorial! thanks! I'm smitten! I really want to try this! Thank you all for the compliments. So glad you enjoyed my tutorial. Happy holidays!